Q&A Soki Choi / Kimchi and Kombucha. Soki Choi / Kimchi and Kombucha. 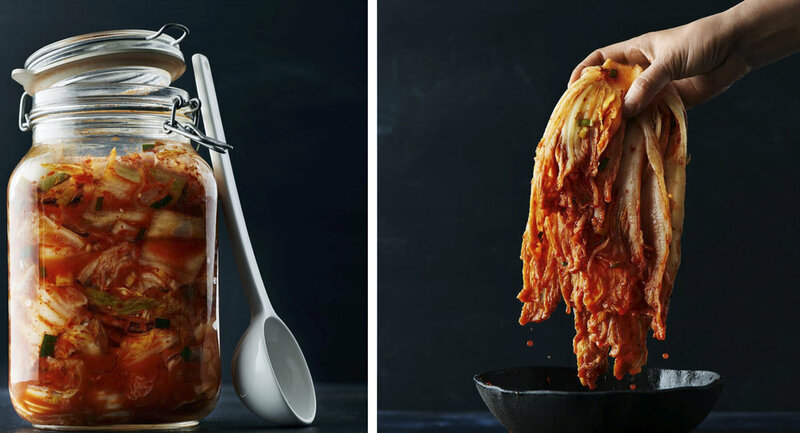 We are talking to Soki Choi about her new book Kimchi and Kombucha. Soki Choi is ranked among the top most powerful women in Sweden and her merit list is long and impressive; including both TEDtalks and being a guest researcher at Harvard. Can we really avoid depression, Adhd, Alzheimers by eating probiotic food? Q: How did your connection with food start? Does it run in your family? Q: Please tell us a bit about your new book Kimchi and Kombucha, what made you write about this specific topic? Q: Tell us a bit about the important relationship between microbiota-gut-brain - can we really avoid depression, Adhd, Alzheimers by eating probiotic food? Q: How much does antibiotics affect our health in a negative way? Q: Are you a vegetarian / vegan, if so why? Besides being both tasty and healthy Kombucha is a great alternative to making alcohol free drinks! Muddle mint leaves, lime slices and sugar in a high glass. Fill with crushed ice and kombucha, preferably flavoured with apple and mint. Sprinkle with some club soda. Garnish with mint twig and serve immediately. Photo: Roland Persson. Book cover / Graphic design by Katy Kimbell.